Originally from Edina, MN, Anne moved to Missoula to attend the University of Montana. She graduated with her B.A. in political science in 2009 and her M.P.A. with an emphasis on nonprofit administration in 2017. She joined the station as Membership Manager in February 2012 and has enjoyed furthering the mission of MTPR through fundraising. She serves as a host/board operator for Morning Edition as well. Anne enjoys cooking, outdoor activities and volunteering in her free time. Thank you to everyone who donated or volunteered during our fall pledge week! Your support makes public radio possible. We raised about $160,000 toward our goal of $260,000 for the week. 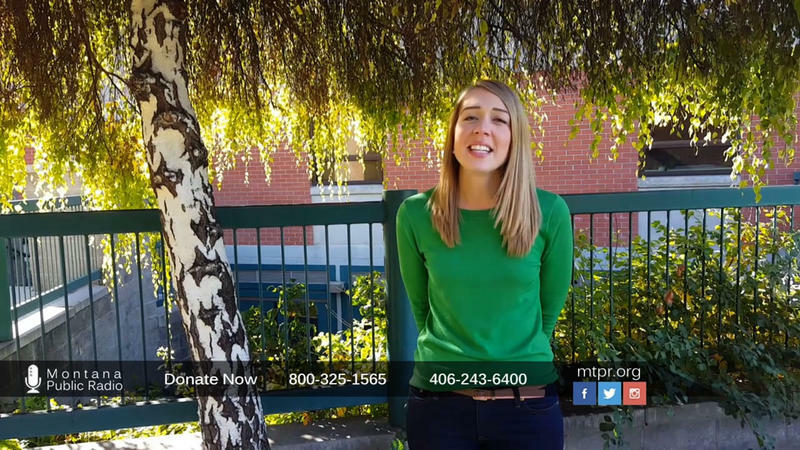 Show your support for MTPR during our fall pledge week. Your donation helps support the Montana news, arts & culture and hand-picked music you love on Montana Public Radio. You can donate online now, or call 1-800-325-1565. Together we are Montana Public Radio. 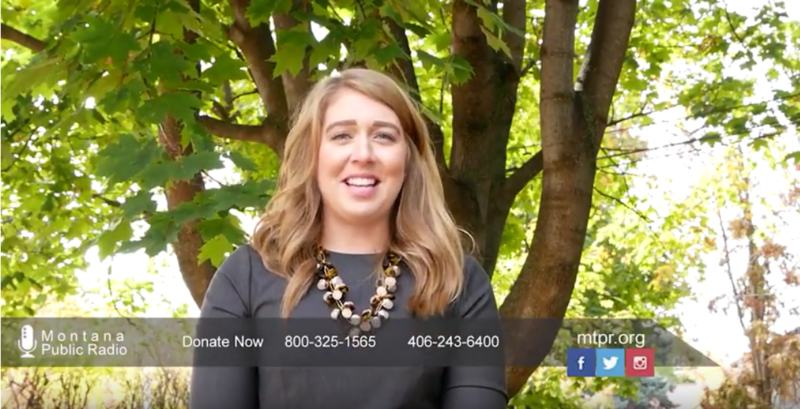 A pledge week message from MTPR Membership Manager Anne Hosler. Become a sustaining member today, or call 406-243-6400, or 800-325-1565 to donate. Are you passionate about public radio, fundraising and/or marketing? And looking for an internship or volunteer opportunity? MTPR is looking for you! This internship position/volunteer would be responsible for social media marketing, email marketing creation and management, coordinating sponsor trades and other development duties as assigned. Approximately 18 hours a week. Were you a backseat baby listening to NPR in the 80s and 90s? Kudos to your smart parents! If you discovered public radio on your own, welcome! Generation Listen is a movement to connect the next generation of public radio listeners to their local stations. We look forward to exchanging ideas and having smart conversations online, over the air and at events.